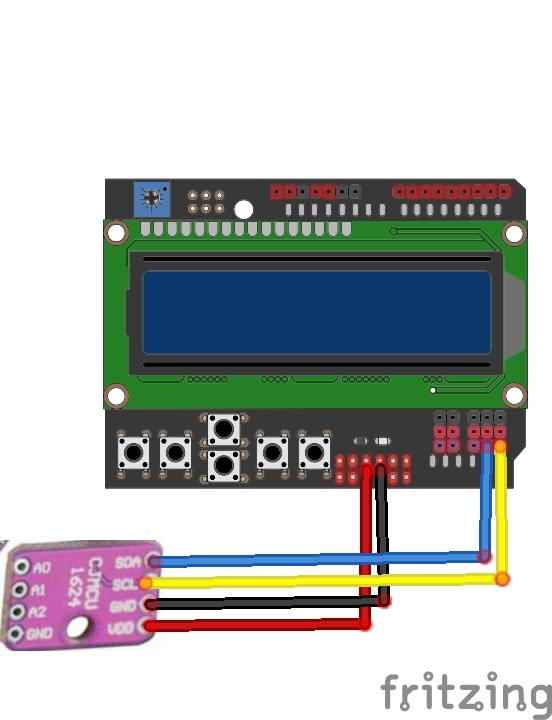 This time we are going to look at hooking up a DS1624 sensor to an LCD Keypad shield. We will display the temperature on the LCD. 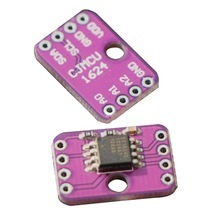 The DS1624 consists of two separate functional units: a 256-byte nonvolatile E2 memory and a direct-to-digital temperature sensor. The nonvolatile memory is made up of 256 bytes of E2 memory. This memory can be used to store any type of information the user wishes. These memory locations are accessed through the 2-wire serial bus.